Composed by Bob Good. Classical Period, Repertoire, General Instructional, Wedding. Score, Set of Parts. 6 pages. Published by Surrey Dance Music (S0.420247). Keep it light! 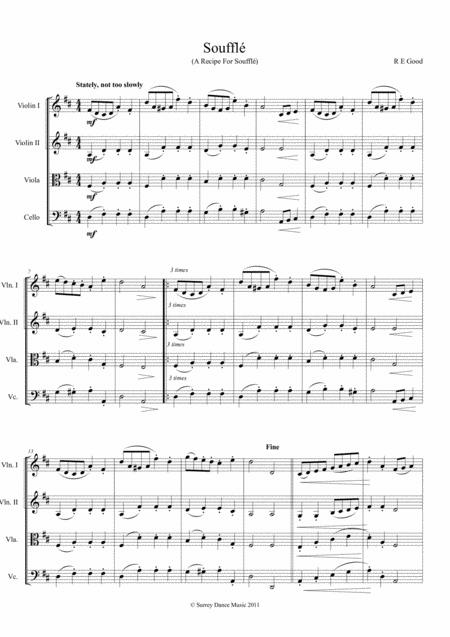 This classical-style String Quartet for general instructional repertoire and background for classy functions is short and sweet at just over 1 minute long. It's been used as background for TV documentaries many times, too!